The 12 major ports handle about 61 per cent of the country’s total cargo traffic. The country’s 12 major ports recorded a 3.77 per cent growth in cargo traffic during April-December 2018 at 518.64 million tonnes (MT), according to apex ports body IPA. The growth was recorded on account of higher handling of cargo’s such as coal, containers and finished fertilizers. 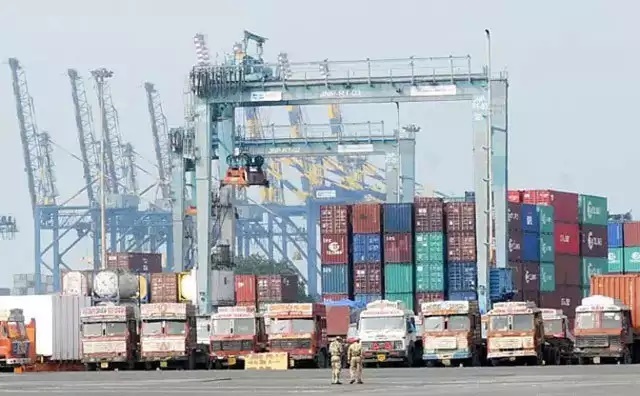 The top-12 major ports under the control of the Centre had recorded 499.77 MT of cargo during the corresponding period of the previous fiscal, the Indian Ports Association (IPA) said. Nine major ports – Kamrajar Port, Kolkata (including Haldia), Paradip, Visakhapatnam, Chennai, Cochin, New Mangalore, JNPT and Kandla registered positive growth in traffic during the period. The three ports recording negative growth were Marmugao, Mumbai and VO Chidambaranar. 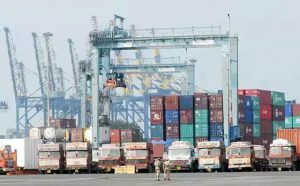 The highest growth was registered by Kamrajar Port, earlier known as Ennore Port (18.38 per cent), followed by Cochin Port (8.92 per cent), Kolkata Port (8.74 per cent), Paradip Port (8.11 per cent) and JNPT (7.39 per cent). The 12 major ports in 2017-18 had handled 679.37 MT of cargo. According to the shipping ministry, more than 50 projects with an investment of over Rs 10,000 crore and involving capacity addition of 90 million tonne per annum (MTPA) are targeted for award during 2018-19. This is as against the 27 projects awarded during 2017-18, involving an investment of Rs 4,146.73 crore through which an additional capacity of 21.93 MTPA was created. The government last month said that while increasing the capacity of major ports, the ministry has been striving to improve their operational efficiencies through policy interventions, procedural changes and mechanisation.